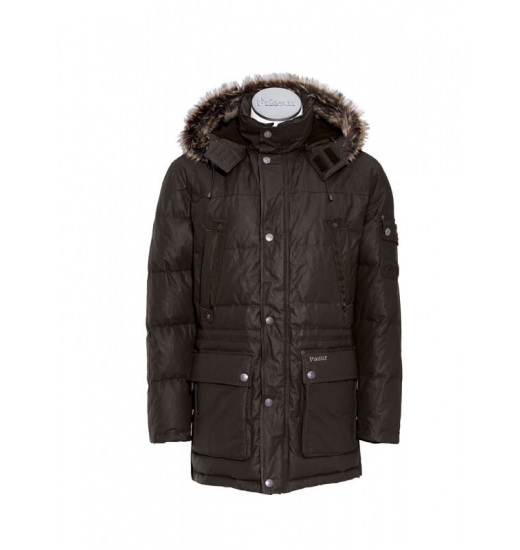 Extremely warm, down-filled, extended men’s jacket, made of very durable material, in brown. Four large, practical pockets accommodate a wallet, cell phone, keys, and many other things. It has side slits to make it easier to seat in the saddle. 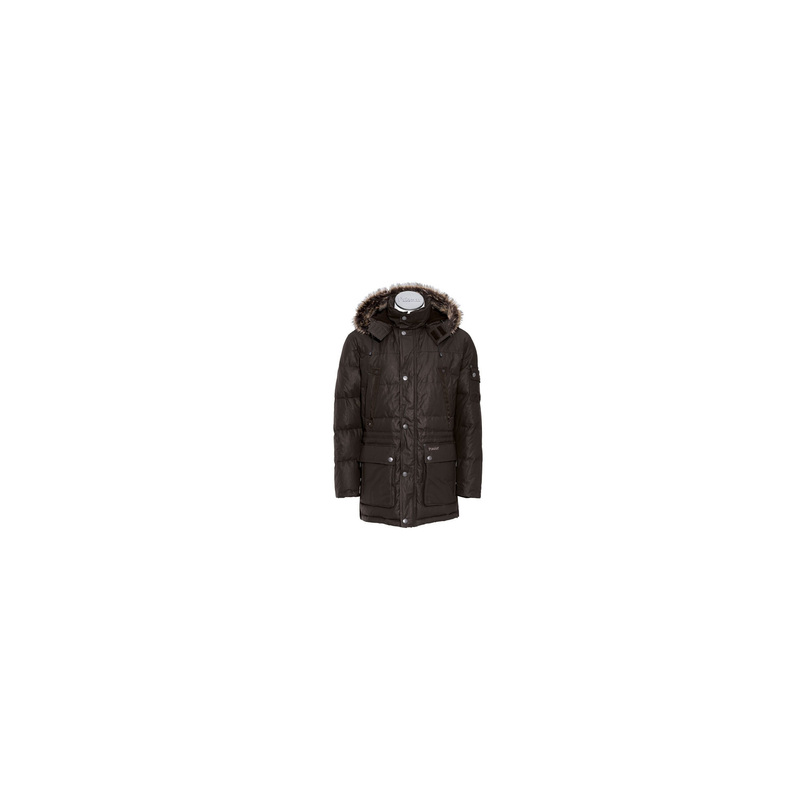 Decorative fur is detachable, as well as the hood. From the bottom lined with fleece, adjustable at the waist, has a rib cuffs to protect from the wind.